As I mentioned in my previous blog post, Melbourne Gastronome has been quiet for the last fortnight because I have been on holiday over in Japan. すばらしい!! I just got back yesterday, and am feeling pretty woozy and spaced out today (very little sleep on the overnight flight). Because I had only intermittent internet access over there, I'm afraid I haven't had the opportunity to write a proper Fortnightly Round-up filled with news, photos and Links of Note in time for today's scheduled post. But rather than publish nothing I thought I'd create a blog post listing all the tips and recommendations that lovely Melbourne Gastronome readers sent me for my trip to Osaka, Kyoto and Tokyo: I figured that it could be a useful resource for those of you planning a trip to Japan in the future (do it!). Huge thanks once again to those of you who provided me with tips! I will of course be writing a blog post or two about the trip highlights - spoiler alert: IT WAS AMAZING - in the near future. In the meantime I leave you with this very short video I made of a silly little something that caught my eye in Tokyo (if you can't view the embedded video below, here's the link). As a native Japanese, I have a lot of places to recommend! In Tokyo, Tsukiji Fish market is a 'must visit' place as a food lover - not only seeing famous Tuna auction in the main wholesale market area (you may have to register), you can enjoy shopping and dining in the JYOGAI market area. There are lots of eateries and specialty shops. Tsukiji is surrounded by old and new tourist places, so it will be a good fun to walk around on a nice day. Also, visiting gourmet sections in Department stores will be fabulous experience -you can buy and sample all sorts of Japanese delicacies, lunch boxes, and gorgeous sweets etc., like shopping at Gallary Lafayett in Paris. 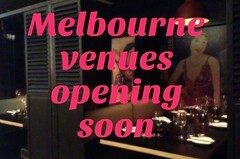 Try variety of restaurants - from top end Japanese restaurants to little eateries. Especially small eateries, majority of them are cheap and good quality, just believe your gut feeling! it's been ten years since i was in japan. my recommendation for food to seek out is kyoto style 'yuba' or tofu skin. texturally, it's similar to buffalo mozzarella - so fresh, layered and delicious. in some restaurants, yuba is made on the table - a pan of soy milk (yuba milk) with a piece of orange rind (or other fragrant ingredients) sits on top of a burner and the you watch the yuba (fine film) form on top. if you can line up a japanese foodie to take you through it, i would highly recommend it. sorry i can't be more specific. many thanks for your amazing insights and discoveries. You should check out Koyasan, a Buddhist mountain retreat totally worth the train and cable car ride from Osaka. You have to stay the night there but you could easily do away with a day or night in Kyoto or Tokyo to take in this incredible, unique experience. Once on the mountain, you stay in beautiful traditional accommodation in Buddhist temples. The monks will make you a blow your mind vegetarian Buddhist meal for dinner, and any other meals that you're there with them. It's incredibly delicious and different. The architecture in the town is amazing and very old and the cemetery is the permanent home of some of Japan's most important Shingon Buddhists. When I went it was covered in a blanket of snow and looked so beautiful. The monks ask you if you want to join them pre breakfast for early prayer - unfortunately I accidentally slept through this but I have heard it's quite fascinating. As a foodie, I believe Japan is the best place in the world to visit. It's non stop excitement. Make sure amongst everything else you have, you get some takoyaki at Kyoto train station's food hall - to die for!!! And sashimi is amazing wherever you have it. Melt in the mouth. It's exciting to stay in the Gion district of Kyoto which is both beautiful and traditional Geisha territory. The best food I've had in Japan had been home cooked, so time to tap in to all those Japanese friendships and invite yourself over for sinner, haha! Hope you have an amazing time. Looking forward to reading all about it! I'm a massive fan of your blog, you always seem to be completely on the mark! it is a very informal restaurant but definitely one of the most memorable, I went there about 3 times, the california roll is amazing, try and get there early or you might have to wait a little. Also try and make it to the Tsukiji fish markets an amazing experience the amount of fresh fish and variety, try and have sashimi breakfast there, it is expensive but amazingly fresh! Apart from that I just wandered around, be sure to have heaps of ramen, soba and yakitori you can grab that around any train station. I loved Kyoto and had a great degustation meal on tatami mats overlooking the river, they definitely have more traditional restaurants, it's absolutely beautiful there. I really enjoyed a day trip to Nikko which is just out of Tokyo, they have great temples and really nice national park, hiroshima is good as well and specialty down there is Korean/Japanese BBQ which is always great fun. The bullet train makes travel so easy, just make sure you get a ticket online while still in oz as you save $$$ compared to paying while there. I hope this is helpful, feel free to shoot any questions you have through and I will do my best. My Japan tip is that the massive department stores on the big main road -Ginza- have awesome food halls-two floors, no less, and the sushi bars in the food halls are excellent value for money. Not sure if you remember, but I sent you a bunch of recommendations when you were planning your US trip a couple of years ago. Thought I'd email you Japan recs rather than post a really long comment on the blog. I went to Japan a year and a bit ago, so I'm sure heaps of good stuff has opened in the meantime, but these were my faves. Anyway, these are the places I loved. They're a bit ramen-centric - I was traveling on a budget! Sushi Dai at Tsukiji Fish Market was the best sushi I've ever had. And it's quite reasonable priced. Something like $50 for 11 pieces of sushi, made for you one at a time. The queues are insane - I think we waited two hours to get a spot, but it was totally worth it. http://www.ededition.com/sushi-dai-tsukiji-fish-market/ . If you can't deal with the line, I think Daiwa Sushi is widely regarded as the second best at Tsukiji. In Tokyo, I also loved the bars of the Golden Gai in Shinjuku. I also had a really great okanomiyaki in The Golden Gai, but I have no idea of the name of the restaurant. I think it's just fun to wander the lanes and pop into any bars that take your fancy. I know a bar called Albatross is friendly to English speakers. The food basement of Isetan department store is just mind-blowing. It features every sort of over-packaged indulgence you can think of. And you can get Pierre Herme macarons there, which is always a good thing. The ramen street on the top floor of Kyoto station has a number of good ramen shops. I had a really great tsukemen from a place called Tetsu. Tsukemen, or dipping ramen, was very much in fashion while I was in Japan. I also had a great ramen at this place http://kyotofoodie.com/takaraya-ramen/. That's probably more than enough. Sorry for bombarding you - I just get excited when I hear people are going to Japan. It's an incredible food destination. I'm sure you'll love it. Can't wait to read your posts when you get back. Tour 1a for my visitors is, assuming starting from Roppongi Hills, thru the back streets to Omotesando, passing both local housing and swish fashion label shops; up O-sando. Lunch at the gyoza place mentioned by one of your correspondents or at Maisen (tonkatsu, also so mentioned). Or go to that area for dinner, to a little place where various delicacies are grilled in front of one in a glass fronted bbq pit. There are any number of side-tracks to go down as time allows. But anywhere is fun in Tokyo! Ueno Park/area; Shinjuku shops/station; Shibuya shops/cafes; crossing; Ebisu-Daikanyama-Shibuya circle walk (old stomping ground). I went on holiday to Japan last year for the first time and it was awesome. Would love to go back and it would be really interesting to see how things are now after the disasters earlier this year. The one tip that I would give for an amazing meal would be to visit the restaurant ‘Okada, Tori, Umi, Yamano-sachi’ in Osaka. My friend's sister was the chef there and provided us with the best meal (http://www.blueapocalypse.com/2010/08/japan-5-okada-chicken-ocean-and.html) that I had in Japan. I just came back from Osaka, Kyoto,and Nara. Foods there are fantastic. Personally, I like kyoto style sushi at Izuju. http://kyotofoodie.com/izuju-best-kyoto-style-sushi/ Dango stall (petit brown wooden stall) down Shijo dori road from Izuju toward Gion Shijo also memorable. It's roasted dango soaked with shoyu sauce and topped with kinako (soy bean flour). Check out Dons de la Nature for the perfect slab of Japanese steak. I spent a year in Japan and the best place I visited was Hakone, just getting there was an adventure, you get a train that zig zags up the mountain, then a tram kind of thing that has stepped floor as it's so steep, then a cable car and then an amazing boat across the lake. It's spectacular this time of year with the leaves changing colour. It's stuck in my head as one of my all time favourite holidays, I'll definitely go back one day. Have a great time! Unless going to a really cheap chain restaurant where you don't expect much, we found it hard to go wrong anywhere in Japan. We ate at places where vividly remember our experience, but would have very little clue of location or name. I've just dug out my trip diary, where I wrote down a lot of the restaurant names (using my very vague residual knowledge of hiragana) and listed everything we ate, but even this isn't helping now! - if you pick a place based on the excellence of the smell, it will mostly turn out to be eel. The first place we ate exclusively served eel and it was mind-blowing. - eat train station bento (when travelling between cities), for fun as much as taste. - find a place that does handmade fresh udon noodle and order with a simple broth. - if going to a Japanese burger chain, Mosburger is far better than Freshness Burger. My metabolism is going crazy just writing this. Have fun! Tokyo's famous tonkatsu (fried pork cutlets) restaurant, located in an unusually decorated former bathhouse. Delicious Izakaya (Japanese drinking establishment) with a huge menu of drinks and food. Really fun and affordable! A 200-year-old soba shop in the middle of Tokyo's gay bar district, serving a full selection of soba dishes. Their hoto (hoh-toh), a Yamanashi-style udon dish with lots of vegetables, makes a very filling wintertime meal. Another specialty is deep-fried natto (fermented soybeans) wrapped in nori. Italian celebrities, politicians and sportsmen have all admitted that the Italian food at Elio's Calabrian restaurant is better than at home. And that's a big statement. Fantastic seafood dishes, most you would never find in Australia. Dinner is worth it and not too expensive. I would suggest staying in Osaka for a few more days if you can... it is the home of Okonomiyaki which are quite wonderful. And there are excellent places where they are cooked in front of you on hot plates. Also the 'American Village' is quite a interesting place to go out in terms of bars/clubs and check out the japanese party culture. Just having a beer on the street there is pretty fun! This will sound really dodgy but... There is a great sushi train in the Kyoto station precinct. A few shops up from the McDonalds and across from the shop with stuffed plastic loaves of bread in the window. We went there a few years back and it was tasty and fresh. A couple of hefty Japanese guys ate their way through 30 plates whilst we were there. Also, any of the sushi places around the Tokyo fish market close to opening time. The freshest and tastiest sushi lunch you will ever have! One of my favourite Tokyo cafes is A to Z in Omotesando. It was partially designed by Yoshitomo Nara, and has a great rooftop garden and oh so delicious cocktails. In Kyoto make sure you go to Nishiki Market. Worth it just for the sites & smells alone. In Tokyo try Birdland in Ginza, hard to find but really good Yakitori. Another good one is Ramen Jiro, its a chain, but still yum. Also you have to go to a Depachika, the food halls of the big dept stores, they are AMAZING. I just Noticed 'Naila' recommended Tonkatsu Maisen; I absolutely second that recommendation, been to Tokyo three times and always go there. There is a magnificent, tiny specialty tempura restaurant in Tokyo. 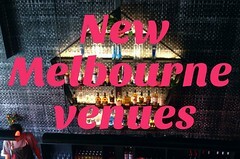 It's in an unassuming quite little neighbourhood but worth the search. The chefs cook the tempura directly in front of you and it's about 10 courses of individually prepared tempura. Amazing. Like the tempura version of 'Jiro Dreams of Sushi' (if you have seen that film). Japanese-style (wafuu) pasta is delicious and underrated - try a chain called Pontoiru, which uses duck meatballs, fresh-grated yams and these zingy Kyoto herbs I've never had before. Can't believe that no-one has mentioned it yet but the world famous Tsukiji Fish Market in Tokyo is a must for breakfast and a wander. It is stupendously wonderful. Make sure you go to one of the little cafes a bit further down the strip away from the Metro station entrance though (towards the shrine)- will be much better value. Skip Tokyo, it's busy and loud. Stay in Osaka which is brilliant and Kyoto which is sublime. There's a gorgeous Persian restaurant in the Geisha area. I was in Japan this year shortly after the earthquake. The earthquake happened 2 days before our wedding and we were booked in to go 2 days later so we braved it out - in the end all this meant we had to forgo Tokyo and stay in the south but that was ok.
Visit Daimaru food section in Kyoto just for the experience! You will love Le Bouchon in Kyoto if you'd like a change from Japanese fair - simple French food done well at a really decent price, we went during the week and the place was full with locals. And also make sure you have a Kaiseki style meal in Kyoto - many restaurants do them, the one we went to was Manzara Honten, a little bit touristy but really good value for money and the quality was brilliant. There are many great french style patisseries and bakeries dotted all over Kyoto, the only thing I did miss was decent coffee - that was touch and go. This is in the main shopping / freak watching area Harajuku which is a must visit anyway! Enjoy! If you are after a good melbourne style coffee , Dean and Delucca ( a number of sites in Tokyo and maybe elsewhere these days) are quite good. Try to take in a ryokan in the hills outside Kyoto , and do the Kaseki thing..quite remarkable. Obviously our Japan advice will be of only limited use for you, but I can't recommend Bon in Tokyo enough. Just an amazing experience - if you have only one veg meal on your trip, find a way to make it at Bon. I defintely recommend checking out Omoide Yokocho in Shinjuku (AKA Piss Alley) for the most authentic Tokyo Yakitori experience. If you're interested, I'll send you a photo of the place there that I'd recommend. There's no names on most of the places, so you'll have to go by a photo to work out which it is! In Osaka, there is an amazing Tsukemen restaurant, which puts a 300c red hot rock into your broth when you finish your meal. One of the best things I've eaten in Japan! I'll see if I can get their name for you if you're keen on that too - I kept their card somewhere. Accomodation-wise, Citadines in Kyoto and Tokyo and SO damn good and cheap. It was recommended to me by michael from Provenance. We've stayed at both on both visits to Jpn. The one in Kyoto is literally next door to a famous SOBA noodle place, which is a great lunchtime visit. Hire bikes to get around Kyoto. You can ride on the roads, footpaths, etc, and it's by far the best place to get around. It's relatively flat, so you dont need to be too fit. A good day trip from Osaka/Kyoto is Nara, where you will see deer wandering the streets and the Giant Buddha. Get to Gion whilst in Kyoto for some geisha spotting in the early evening. You'll also spot them wandering around the laneways of Pontocho. A must visit! I even got the Pontocho logo tattooed when I was in Kyoto - a Chidori bird. Dont forget to check out the weirdos down at Harajuku on the weekends, on the bridge next to the station. There's also a cool temple to visit just behind the station, which is a nice shady walk, if it's warm. If you have a spare day and want to visit an amazing spa town, check out Kinosaki. A long winding beautiful train trip up mountains, along rivers and waterfalls and rapids until you get to this magical little onsen town, where you can walk around in your traditional wooden thongs and japanese dressing gown wandering to and from the 7 onsen. The food here is primarily seafood and is famous for Crab. If you need any other ideas, let me know!! I studied Japanese for six years in high school, and found to my pleasant surprise once over there that I actually remembered much more than I'd thought I would. That said, I have NO idea what Snoopy is yelling about outside this izakaya - can anyone translate for me?? Not sure what the sentence on the left is, but the one on the right basically says "Drink up a storm!!" i cant wait to see the post about japan! 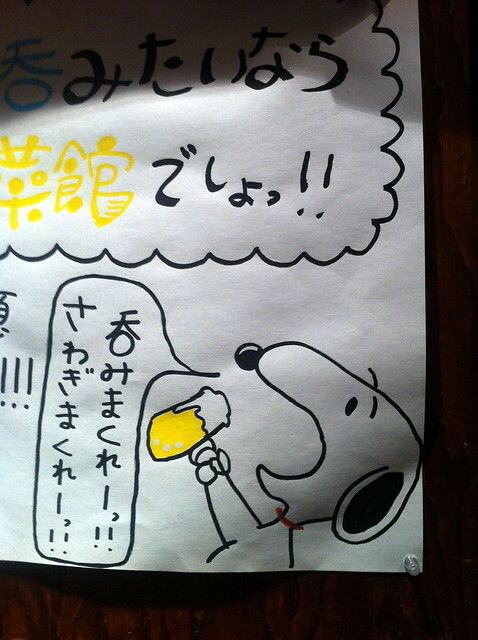 snoopy is saying what japanese people usually do at izakaya ;) "drink spree! be noisy!" I just got back from Tokyo on Easter weekend, I wont add any food related places! What I can add is, you can bring your smart phone (unlocked, just ask your provider), once in Tokyo, you can buy a data only sim for use in your smartphone. The most cost friendly is about 4000yen, in which you get 1gb worth of data, and it is valid for 1 month. I used this to update my foodspotting blog and for maps which is really useful for getting around. Dont know how I managed without this on my previous trips to Tokyo!!! !